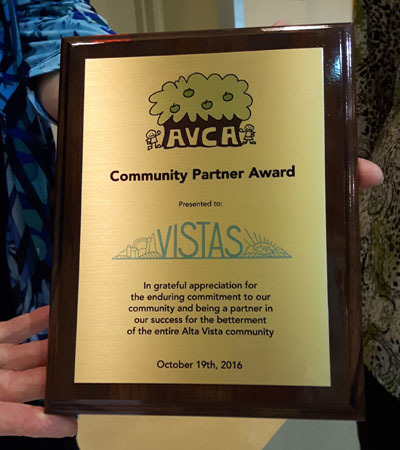 The Alta Vista Community Association awarded the inaugural Community Partner Award to Vistas – Alta Vista’s volunteer-run community newspaper. Co-editors Christine Inrig and Marcia Gosse accepted the award on behalf of the Vistas team. 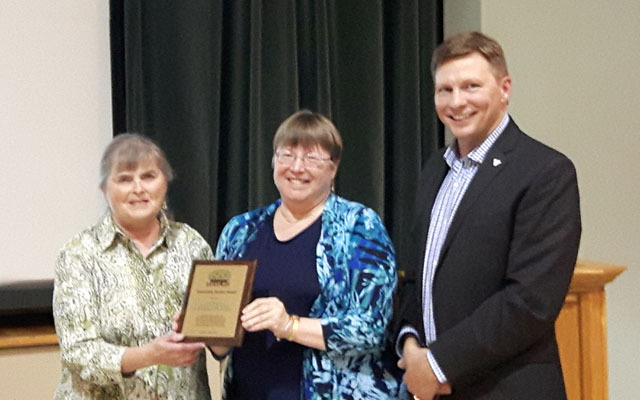 The award was presented by AVCA President Clinton Cowan at the Association’s Annual General Meeting on October 19th.